​"This is one of the greatest moments of my coaching career to date. I am so honoured, humbled and privileged. 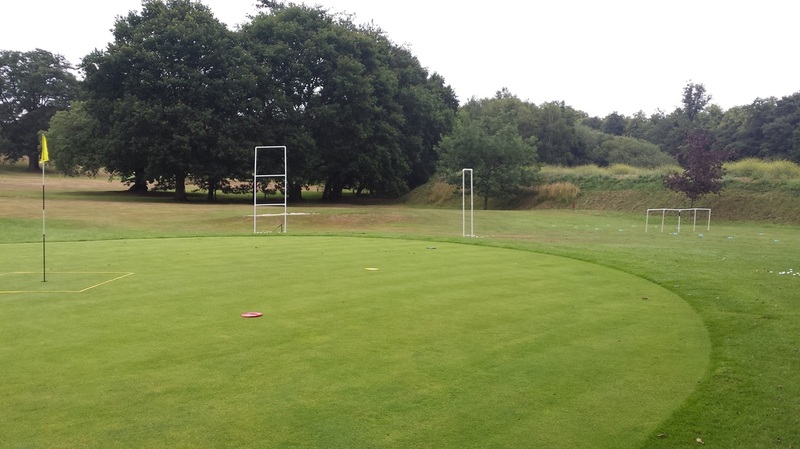 I cannot wait to get started and I am sure we are going to create something very special over the coming years"
Gregor presents to the Surrey County coaches at Fairweather golf. Gregor presents twice to the AGMS students at Birmingham University in both the lecture room and in live lessons at Edgebaston Golf Club. The wins just keep coming for 'on fire' Syeed. 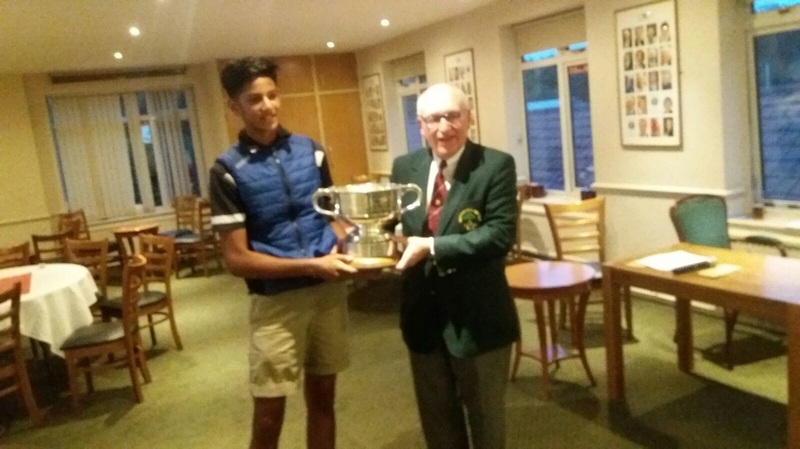 Aadam Syeed has followed up his win in the West Middlesex Scratch with a six shot victory in the Roehampton Masters, becoming the first golfer to win this event twice. Special as this is an EGU invite event. Rounds of 66 and 73 saw last years runner up and the 2014 champion continue to dominate this event. The win gets Aadam's handicap down to +1. Mottershead's, who took the game up just four years, ago had his first year as a professional, with fourteen top ten finishes he finishes 4th in the PGA South Assistants Order of Merit. 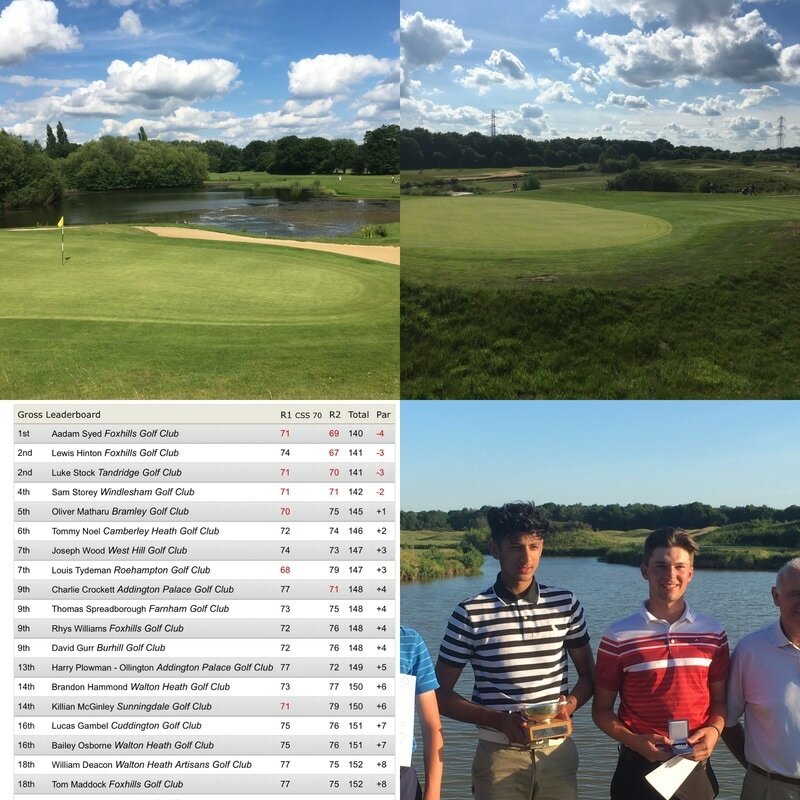 "With a club speed gain of 11 miles per hour this year and all the systems around him that he needs I await the first win which I'm sure is not far away"
Aadam won West Middlesex Scratch open today with a score of 68 & 72, all the hard work with you during the summer has paid off, thank you for all the advice you have passed on to Aadam and your continuous support, without your guidance his journey would not be easy. Time spend on the range, putting green, chipping area and par 3 was invaluable. Conor's on course lessons with Gregor brings delight! 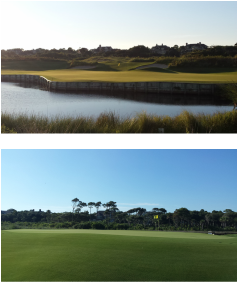 Two PGA professionals that are coached by Gregor finish 3rd and 8th in the PGA South Region Assistants Championship. Rounds of 67-72 and 72-68 saw the duo reap the rewards of the hard work they have been putting in this year. 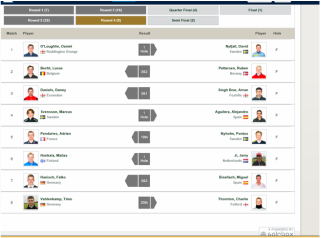 Two great results for two of Gregor's young guns! Gregor returned to Birmingham University, this time as lecturer not student. Lead wrist, arm and shoulder angles. Hand and arm speed and force. This system allows you to see your swing in 3D from any angle. Gregor becomes the first in the UK to reach the pinnacle of the PGA coaching pathway gaining his level 4 coaching qualification. 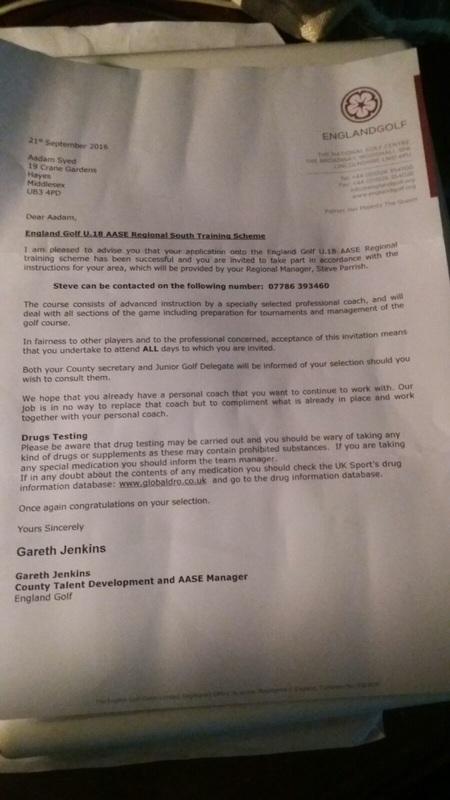 One of the first five to achieve this accolade Gregor has become an ASQ Level Four Coach, the first in the game of golf. Victory for a very deserving Shane! I've just returned from my annual lads golf trip to Portugal. I've been trying to win this thing for 6 years. This year, finally, I'm the Champion! All of your contributions played a part - thank you. Another great result from one of Gregor's clients Duncan. 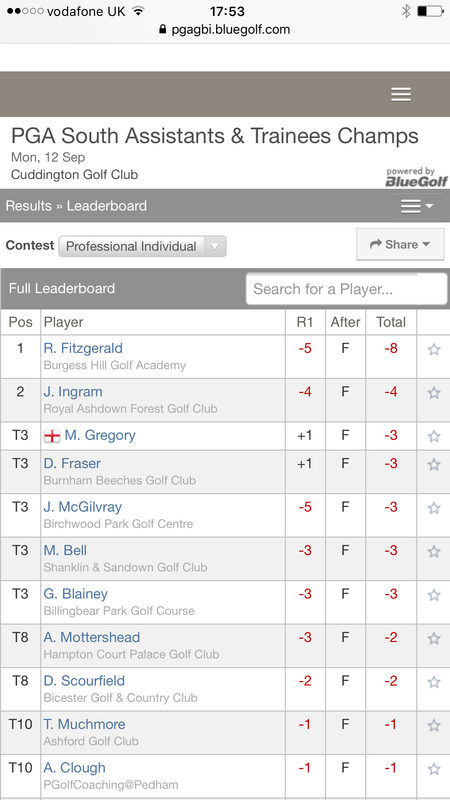 Up to third in the Surrey order of merit with yet another win! Great success for Conor one of Gregor's clients after a winter of hard work together! 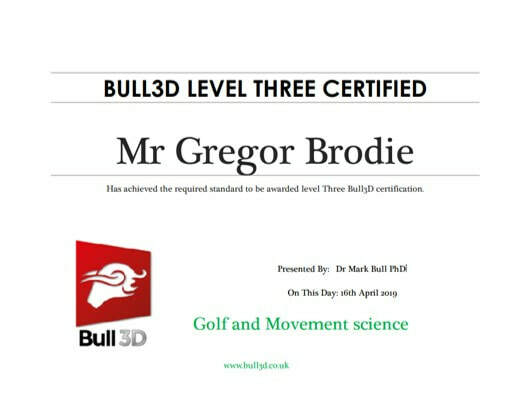 Gregor was one of the 'chosen few' to attend a first class day of professional development and education with world renowned golf biomechanist Mark Bull. 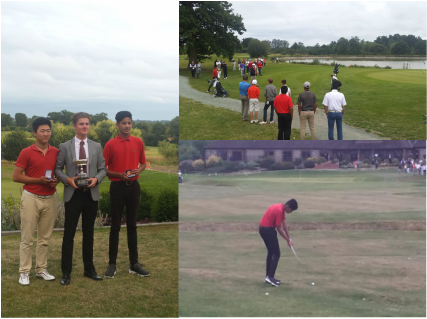 One of Gregor's 'young guns' Adam Syeed narrowly lost out on winning the Surrey County u15 County Championship after an enthralling 4 hole play off. 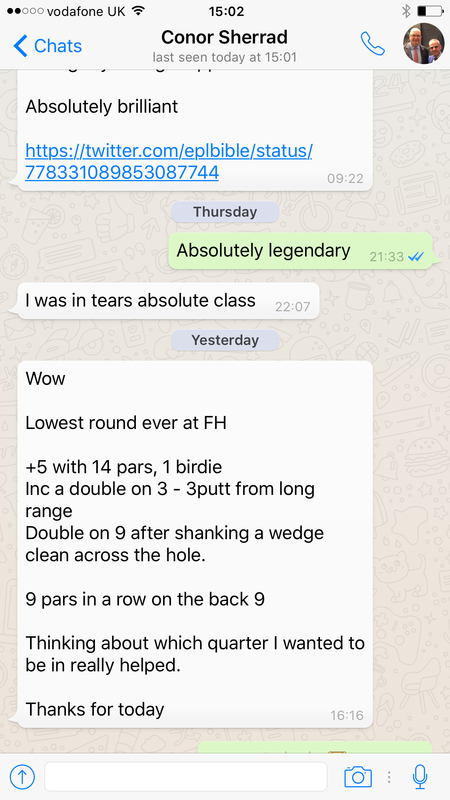 His +1 total in regulation play was good enough to get him into the two man play off, missing out on winning the whole event by just two shots. 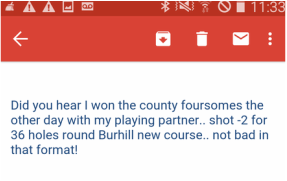 This came in a week that saw him win the junior open at West Hill Golf Club. 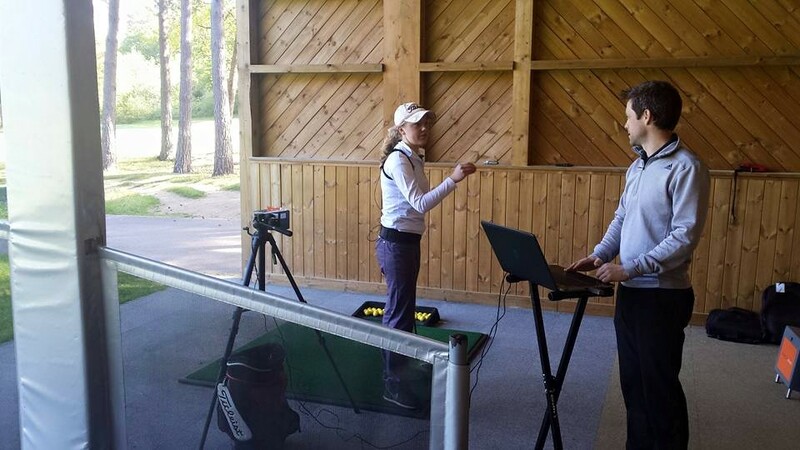 Gregor has returned to the States working alongside his good friend Mark Bull delivering 3D motion capture swing analysis to a group of golfers at the world renowned Kiawah Island resort. 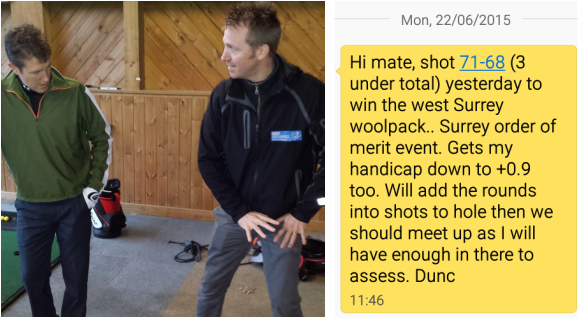 Having worked hard with Gregor pre-season Duncan is reaping the rewards by competing well this year. 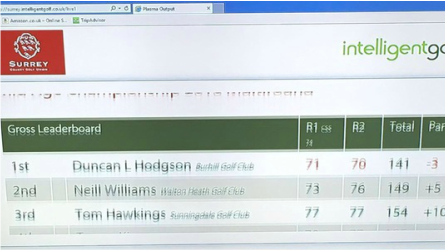 Having finished 2nd in the first Surrey Order of Merit event this year he followed up with a win in the 'Woolpack' before a 2nd place finish at West Sussex(by one shot!). This was followed by a 3rd place finish at Clandon. For a man that works full time to be currently placed 5th in the Order of Merit is a great achievement. Gregor and his good friend Kendal McWade (Instinctive Golf Founder) put on a corporate day for the Chivas Brothers at the Penny Hill Park Hotel. The day was centred around creative thinking, autonomy, problem solving and team building. 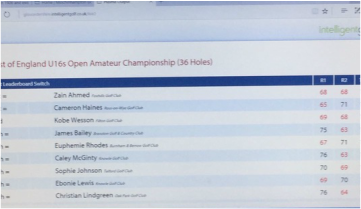 One of Gregor's young elite amateurs has started his professional journey with an opening 69 in his first ever professional event. He lies 2 shots of the lead! "We have worked so hard over the last 18 months, Gus means a great deal to me, I am so happy for him. However this is just the start and we need to stay focused on processes and move forward from here. But as regards today, I am so happy for him"
Another great result from one of Gregor's clients. Gregor said "x has worked so hard, she deserves this so much, I cannot tell you how proud I am of her. The club she is at is one of the most prestigious and this is a great result"
Another win for one 'The Brodie Boys'! After working together for under a year Duncan is beginning to see massive benefits! Gregor has been instrumental in setting up the SLGA u18 Development Program this year. The feedback has been overwhelming!!! Once again the day was fascinating and I really enjoyed it! I learnt so much and I can't wait to keep practicing the points raised on the two sessions. I am so grateful to be involved with this programme- it has helped me hugely already after only a couple of sessions! I have been thinking about my swing so much recently as a result of these sessions- It is so beneficial to see the swing visually with the equipment and data as it makes it much easier for me to understand what I am trying to achieve! In this session it was so interesting to see how what I thought was the 'same' pitch shot each time wasn't and had greatly varying statistics! The movement of the ribcage is very interesting and it was great to see the numbers change after I tried to return my ribcage to where it came from. I will definitely explore this more. The putting session with Jason was very interesting as I had never focused or analysed a putt digitally before. I discovered so much and I can't wait to explore putting in this way more! “Greg, the latest session was so motivational and despite recovering from injury (xxxx) felt she was able to put some aspects into practice. (xxxx) has come away completely motivated. The balance between technical information and interpretation was outstanding, it’s all too easy to get lost in the detail but to be able to have a part of the session where it is put in context, in practice is invaluable. The thought that must be going into this programme is impressive, never mind actually delivering it so well! 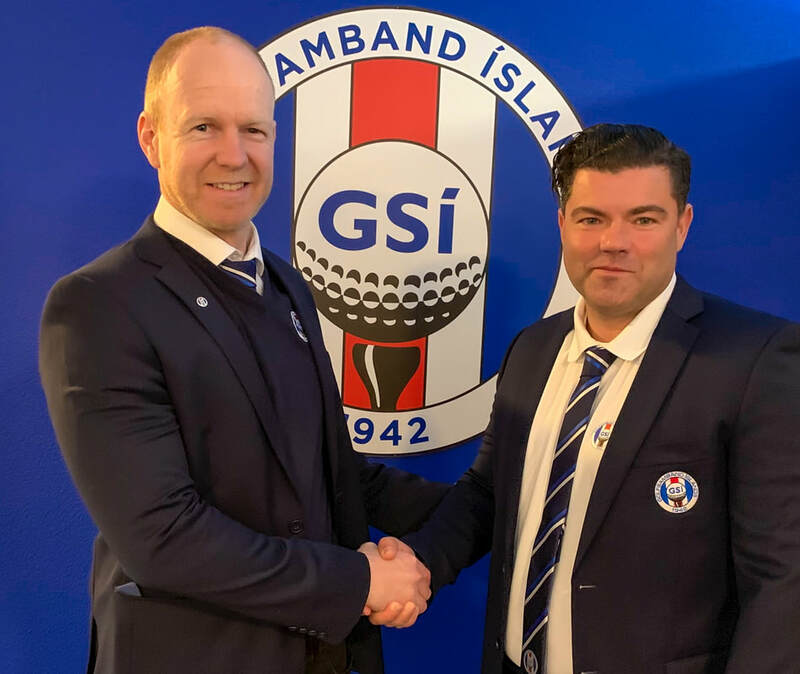 Professional Golfer David Callaway, who is coached by Gregor has claimed his first tournament victory of the year by winning the Surrey Masters. "Golf is such a funny game. The week before the tournament David and I were standing on the range and I had never seen him so unhappy with his game. We had a great session and a week later there he is picking up a trophy"
Zain Ahmed has won his first big junior event almost a year to the day that he started working with Gregor. Zain claimed the championship victory at the challenging Sunningdale ladies club. Gregor's duo Richard Corscadden and Steve Holmes who are members at Northants finish 1st and 2nd in one of their club competitions. 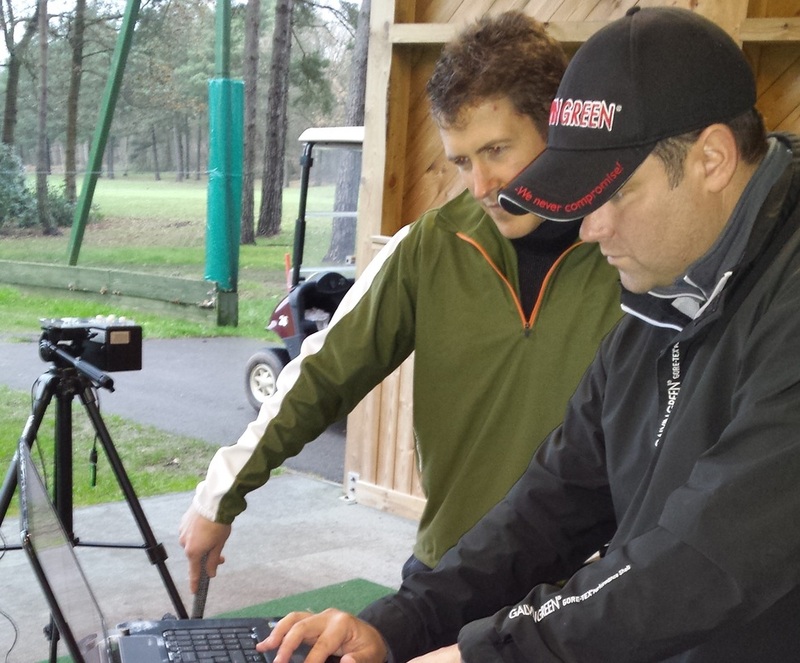 On Wednesday the 28th January Gregor teams up with master club builder Laurence Pawley running an evening together at the Golf Studio in Surbiton that involves 3D swing analysis and an equipment MOT. As a special offer on the night Laurence is offering a full bag fit, including yardages and loft and lies for £50 instead of the normal £100 for the fitting, £30 for the yardages and £3 per club for lies. Laurence is first class and as can be seen from his very generous offer this is not one to miss. The 3D sessions will be priced at £100 for the hour. For further information and booking log onto www.golf-dna.co.uk. 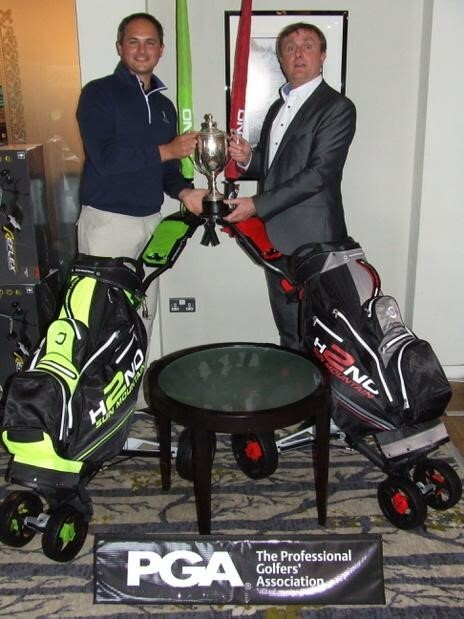 (www.markbullgolf.co.uk) and Dave Elmsly (www.thebodymechanics.co.uk). The attendees will gain a true understanding of how they move and why. Where their physical ‘breakdowns’ occur and potential areas to acknowledge in the prevention of injury. Mark and Gregor will also highlight where the golfer can make efficiency gains whilst Dave gives the attendee an understanding of how their standing posture influences their swing dynamics. 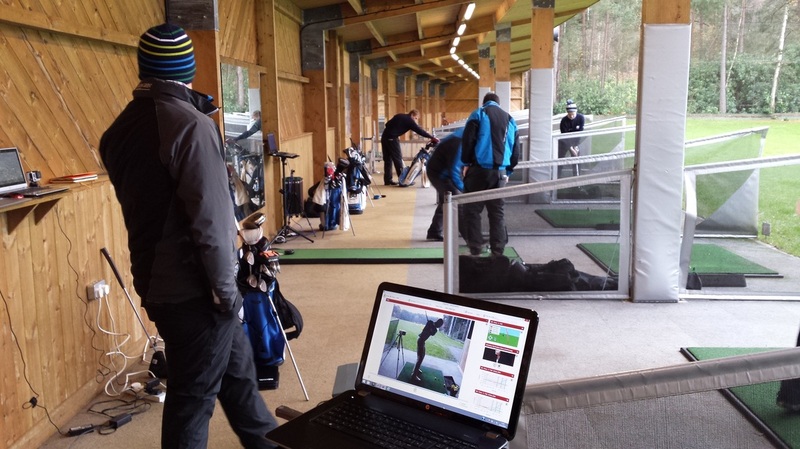 Further the attendee will also spend an hour on Trackman Radar and will receive a report on their club yardages. 8 places are available for this day. The day will be broken down into 2 four hour sessions. 8am-12pm and 1pm-5pm. The duo will deliver a mix of putting, pitching and greenside shot analysis, green reading and shot selection. The attendees will gain an understanding of the physics of appropriate club delivery in relation to pitch and chip shots with the aid of Trackman Radar. Jason will highlight the green reading processes and techniques and the attendee’s tendencies and dynamics surrounding their putting stroke. 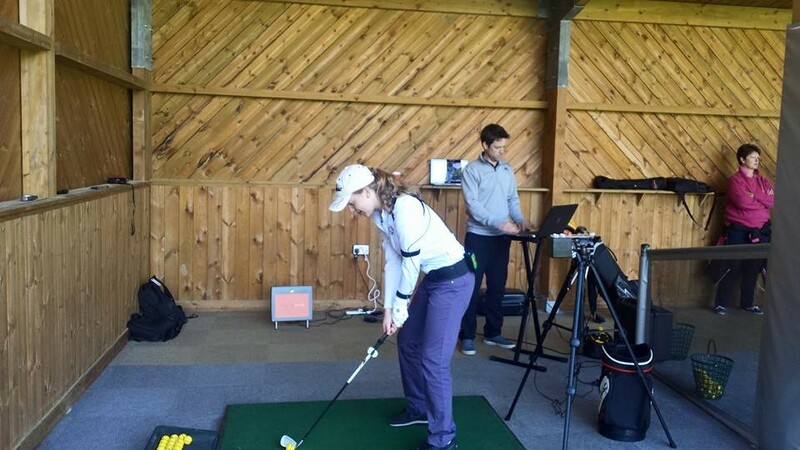 of developing skill and how a performance golfer develops. practice, how to develop skill and how to set performance goals based on statistics. range work and contextual on-course work. 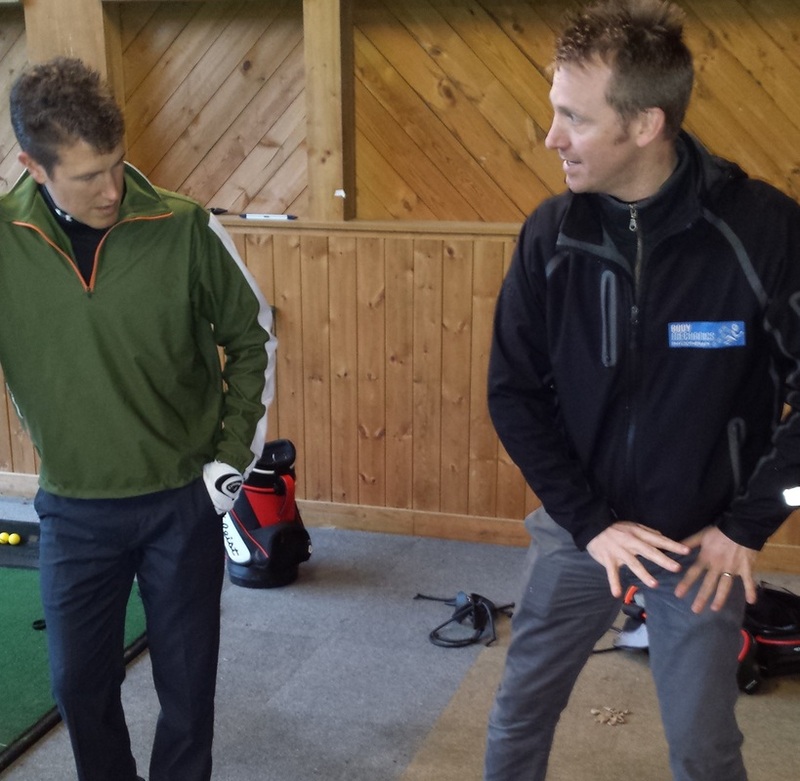 Gregor was joined by physiotherapist Dave Elmsy (thebodymechanics) to deliver a development day to golfers ranging from touring professionals to mid handicap club golfers. 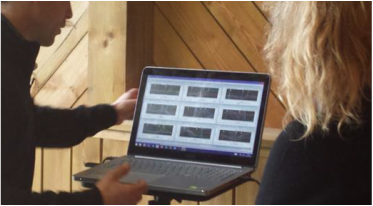 Gregor provided the golfers with biomechanical information on their movement through 3D motion analysis whilst Dave related these finding to the golfers physiology. The synergy between the two practitioners provided the attendees with a true understanding of their first point of breakdown and how their body affects their motion. Top right/left & mid right: Gregor provides some 3D motion analysis. Today the PGA presented Gregor with his ASQ Level 3 Coaching Certificate. Of the thousands of PGA professionals in the country Gregor becomes one of a very select few to earn this accreditation. Having completed his post graduate degree Gregor is now eligible to be interviewed for his level 4 accreditation which is the highest coaching qualification available in the golf industry. Gregor teams up with physiotherapist Dave Emsly who works with numerous of the world's best tour professionals to offer a truly first class development opportunity to attendees. The hour long session involves an initial 3D motion analysis with Gregor under the watchful eye of Dave who then puts the player through a musculoskeltal screening or neurological/physiological intervention. This is followed by post-intervention 3D motion analysis. The golfer will gain an understanding of where their breakdowns occur and how these physiological shortcomings create the movement pattern that is observed. To book please contact the team by pressing the mail icon above. A great day was had at Foxhills on Monday 10th November. Professionals, elite and mid-handicapped amateur golfers came together and enjoyed a day that was put on by Dr Matt Bridge and Greg Brodie. The day was based around performance practice and how best to utilize statistics. Matt has some truly unique, ground breaking material that will change the way golf if practiced in the future. Good amateurs and professional players are invited to attend this one day workshop by Dr Matt Bridge and Greg Brodie. 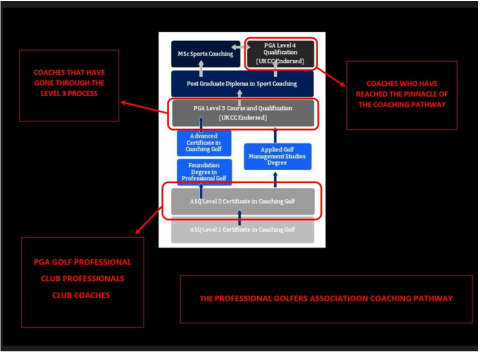 Concepts upon how practice can be changed on the range and the course to develop player decision making and course management will be presented. We will examine what counts in scoring in golf. This will present new ideas moving away from traditional statistics and introduce the Shots to Hole analysis programme. On the putting range and short game area, games that will be played that have a sound footing in what counts in scoring. Players will play several holes playing against each other identifying target areas, planning their way to the green scoring points for well-played approach shots and good putting. 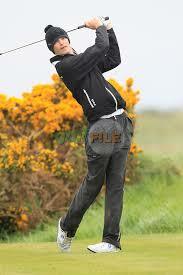 Matt has been working in golf coach education and with coaches and players since 2003. His interests and research are in practicing to learn, retain and perform, 3D swing kinematics and the use of statistics to improve golf performance. Matt is Director of Golf at Birmingham University, a consultant to sport management companies and works with a number of elite amateur and professional players. 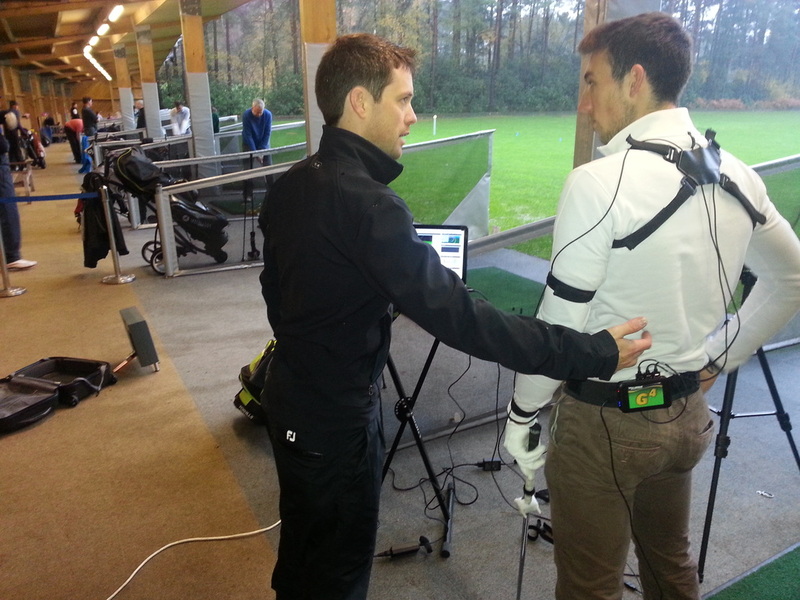 3D motional analyst Mark Bull joins Gregor Brodie at Foxhills resort to deliver a day of technical/physical development. Mark Bull once again proved why he is one of the very best biomechanists in the game when he provided Gregor's clients with the most wonderful day of development linking the 3D analysis to their physiological, neurological and conceptual issues. The professional golfers, elite amateurs and club golfers who attended all benefited massively from his wonderful knowledge. On December 2nd Gregor worked along side physiotherapist Dave Emsly, putting analyst Jason Murray and club builder Laurence Powley in a performance camp for members of the Bournemouth University 1st Team. 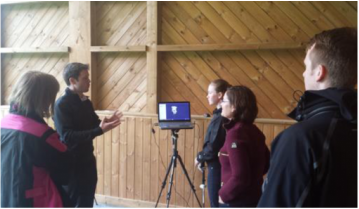 Gregor's role was to work in synergy with Dave giving 3D biomechanical swing analysis to members of the team linking their breadowns and movement patterns to their physical screenings. 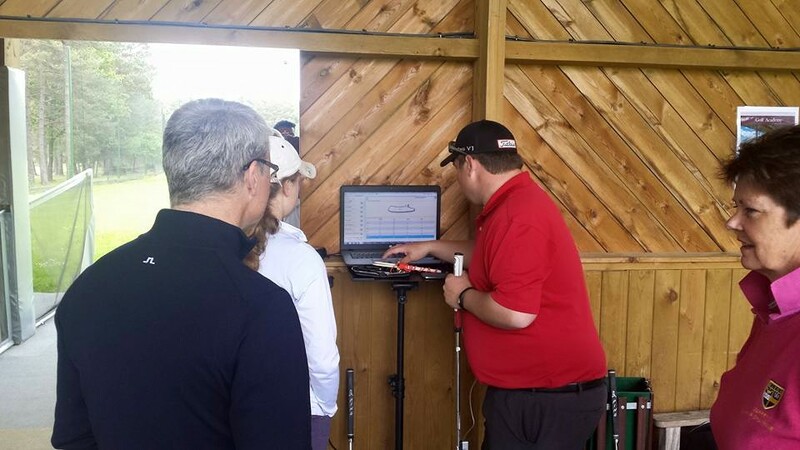 Jason Murray gave the team individual putting analysis and Laurence Powley used Trackman to look at how appropriate their equipment was. The day started and finished in the classroom with Jason and Gregor presenting on the importance of statistical analysis and data collection in driving practice behaviors and in goals setting, on optimal capture speeds in putting and We also the importance of a player centered evidence based method of development.